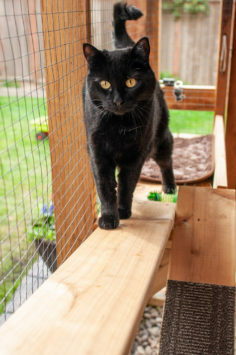 Register today to join us on June 9, 2019 for our first BC SPCA Vancouver Catio tour. For one afternoon, seven homes with their beautiful catios will open their yards to attendees. 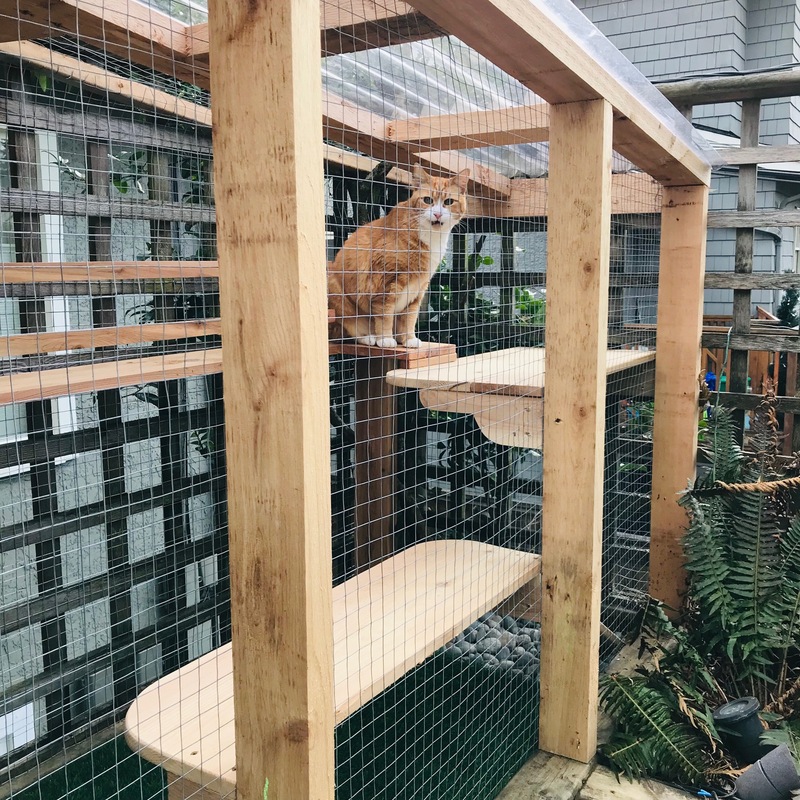 Come see these outdoor cat enclosures in action and learn more about the building of the catios and how they have enriched the lives of the resident felines. You might even spot a cat or two! A week before the tour you will receive a digital guidebook by email with all the information you need to plan and enjoy your self-guided catio tour through Kitsilano and Mount Pleasant. Please read the 2019 BC SPCA Catio Tour Release of Liability Waiver (PDF) prior to registering. Have you wanted to give your cat freedom to roam outside, but worry about their safety and that of local wildlife? We have information about the benefits of catios and three step-by-step guides on how to build a catio for your own feline friend! Are you interested in being a volunteer for the BC SPCA Catio Tour? Email us at catio@spca.bc.ca. What can I expect of the catio tour? 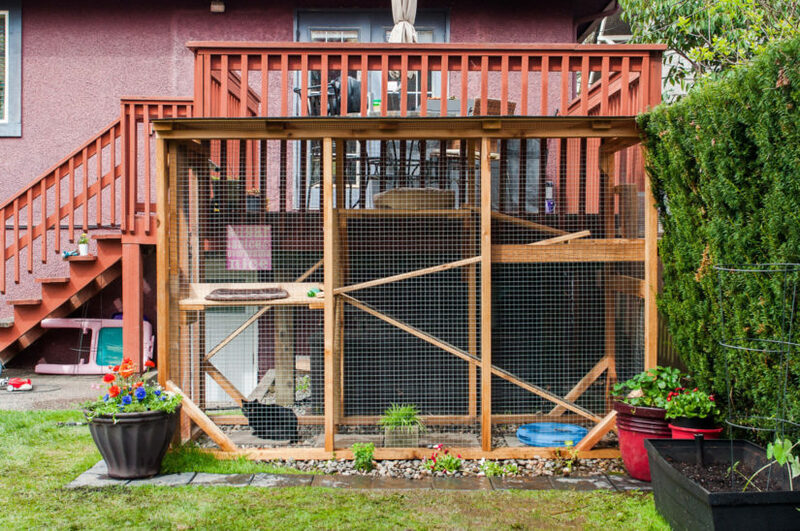 The self-guided catio tour shows off seven catios in the Kitsilano and Mount Pleasant. Our catio tour guidebook will be emailed to you about a week before the tour. It will have photos, catio information, and maps so you can plan your route ahead of time. You can begin and end your day at any of the stops! Catio hosts, BC SPCA staff, and volunteers will be available at each catio stop to chat with you about the catio features. Go to our registration page to sign up today. It’s $10 to secure your spot for this exciting event. Will I be able to interact with cats on the tour? We cannot guarantee that cats will be out in their catios during the time of the tour. But catio hosts, BC SPCA staff, and volunteers will be available to tell you all about the catios and feline residents. A catio is a screened-in space, a patio for cats if you will! The structure can be attached to the home or free-standing and often includes perches, ramps and other enrichment for cats.